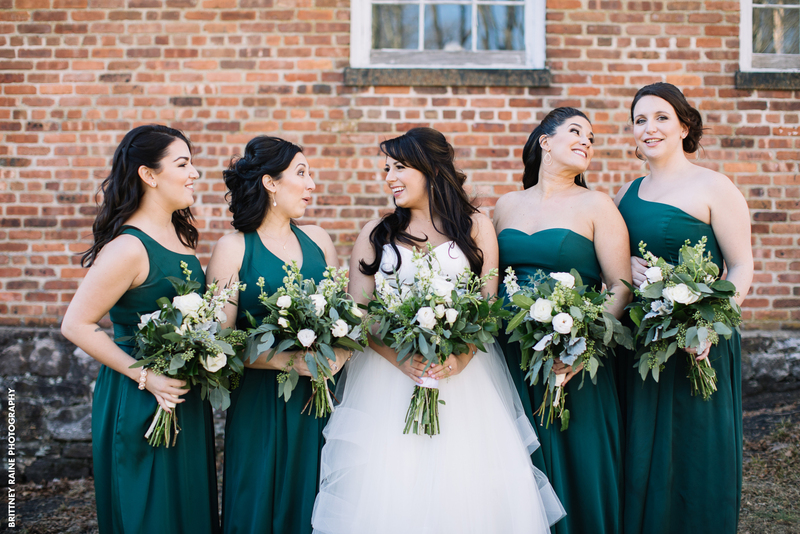 Though often honored when asked to be a part of your special day, if there’s one thought that wanders through the mind of your bridesmaids, it’s bridesmaid dresses. If you’ve been to weddings in the past or seen pictures of bridal parties back in the day, you’ll see some pretty epic sleeves, shoulder pads, and unflattering colors. Obviously, you don’t want your girls upstaging you, but you also don’t want to look back at pictures and see them looking uncomfortable, or like a bunch of dated backup singers drowning in fabric. So, we figured we’d give you a few suggestions on choosing favorable bridesmaid dresses to please most everyone on your bridal party. When choosing the right bridesmaid dresses for your wedding in New Jersey, it is important to consider the body types of all your leading ladies. What looks great on a slim woman may not compliment a curvy one. Some dress designers or dress shops may not even carry plus sizes so if you have a wide range of women in your bridal party, make sure the designer or shop you are choosing can accommodate everyone’s size. Places like David’s Bridal that specialize in wedding attire, and are very popular store for bridesmaid dresses, will most certainly have an extensive range of sizes and styles to choose from. If you can’t find one dress style that compliments everyone, perhaps you can choose a color and some parameters (short or long dress, sleeves or no sleeves, v-neck or sweetheart neckline) and allow your ladies to order the style of dress they feel most comfortable in. Yes, it’s your day and your word is final, but it can’t hurt to find out what your girls have to say. You never know, they may have similar ideas or things you didn’t consider. Either sit and talk with them or take them with you on a dress shopping trip to see what bridesmaid dresses they choose and look best in. 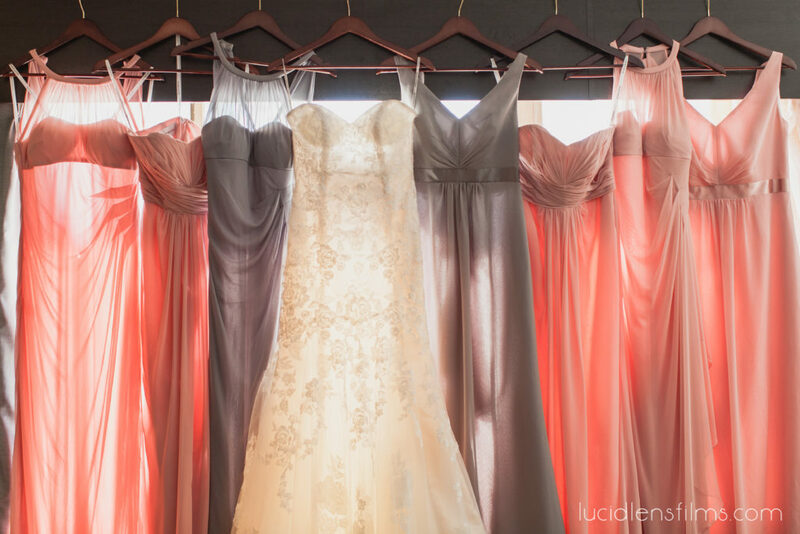 You might find out that one color shade looks great on everyone, whereas another color you liked on the rack may be really unflattering on your bridesmaids’ skin tones. 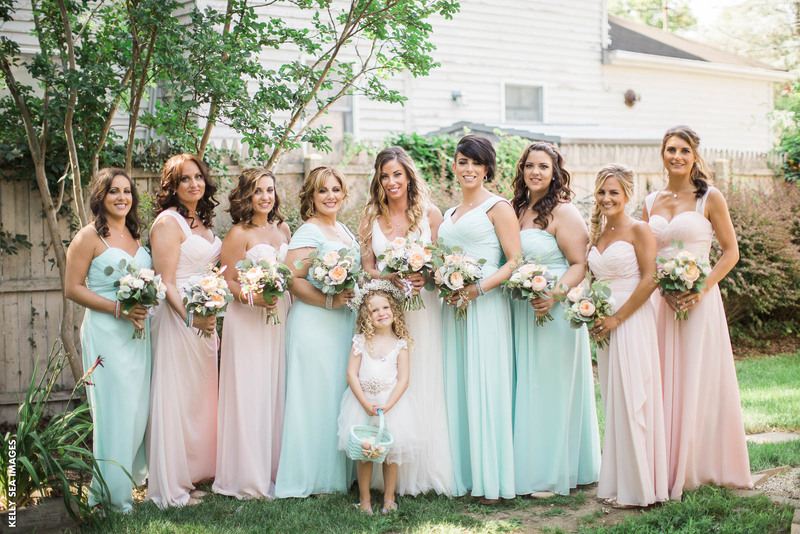 Another way to choose favorable bridesmaids dresses for your wedding in New Jersey would be to consider their personality. Dress the girls in accordance with their ages and personalities. If you have more mature bridesmaids, you might allow them to wear more elegant and modest dresses. However, if you’ve got younger bridesmaids, perhaps you could go a bit brighter, flowy, and flirty. Yes, you’re the belle of the ball and should stand out as such, however, you’ve asked these beautiful women to be a part of your special day and therefore, they deserve to look their best as well. Use the tips mentioned above to find bridesmaids dresses for your wedding in New Jersey that they’ll appreciate.